Dance movies and their viewers are rarely taken serious but there is a niche for them and thus here's another one. 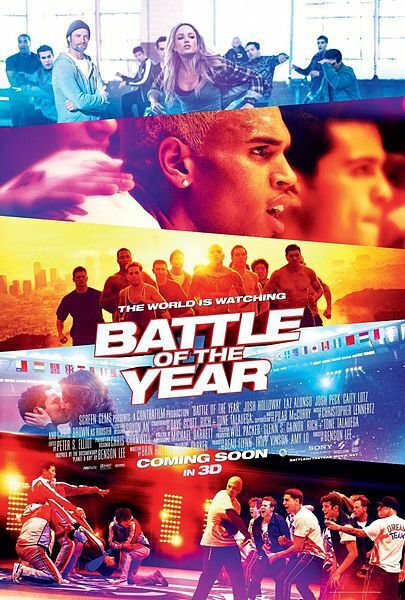 Battle of the Year (BOTY) is based on an actual competition of the same name. A tale of redemption for Derrek played by Josh Holloway (Lost), who is hired by his good friend to coach a b-boy team to compete in the international competition. The director Benson Lee is no stranger to this world as his documentary in 2007, Planet B-Boy is also based on the competition. The documentary won several awards and nominations including 2007 Tribeca Film Festival selection. This film however is a "Hollywood" adaptation of the competition BOTY. If you don't know what B-Boy is, it's more commonly known as break dancing, in which the competition BOTY is done in teams or crews. Similar to real life, in the movie, international teams have been dominating the competition with the South Koreans as the previous year's Champion. Derrek instead of trying to improve the current US team, fires them all and goes out to put together a "dream team" of B-Boys. The dream team of egotistic alpha males naturally clashes with each other led by Rooster played by Chris Brown and Franklyn played by Josh Peck. Former friends torn apart by a woman their often one comeuppance on each other keeps the team from achieving greatness. The story is predictable and the dialogue very typical of teenage boys. That is to say that there's not much there that would be very thought provoking or challenging of the actor's talents. Chris Brown who's the most known star among the cast has acting credits to his name before. But playing essentially himself, brash, egotistic, and a dancer is no big leap for him. Josh Holloway at times overacts and makes you wonder if he's thinking just why did I sign on for this movie. The acting beyond them doesn't get much better. But there's good news. If you're like me and love these movies for the amazing dancing than in this area they do not disappoint. However, all dance movies usually have this area well covered making this a dime among a dozen. Overall, I grimace at the dialogue but enjoyed the dance offs. However I would recommend waiting for it on DVD or VOD if you must watch it. Even seeing Chris Brown getting knocked off his socks is not worth the price of admission at a theater. Especially puzzling is the idea that Sony would think you would want to pay extra to see it in 3D. While visually stunning in 3D, it stills suffers from all of the above.